POCKET is a year in the life of an American teenager, told entirely from the perspective of his iPhone. Co-Directed with my longtime collaborator Zach Wechter, it is also the first project of my new smartphone filmmaking collective PICKPOCKET. In a surreal future, humanity has been transformed beyond any and all recognition by the echo chambers of social media. Shot entirely on iPhone in the Montréal underground, FILTRATE is an exploration of digital connectivity and physical isolation. An exploration of the universality of growing up through the eyes of those who have experienced it first hand. 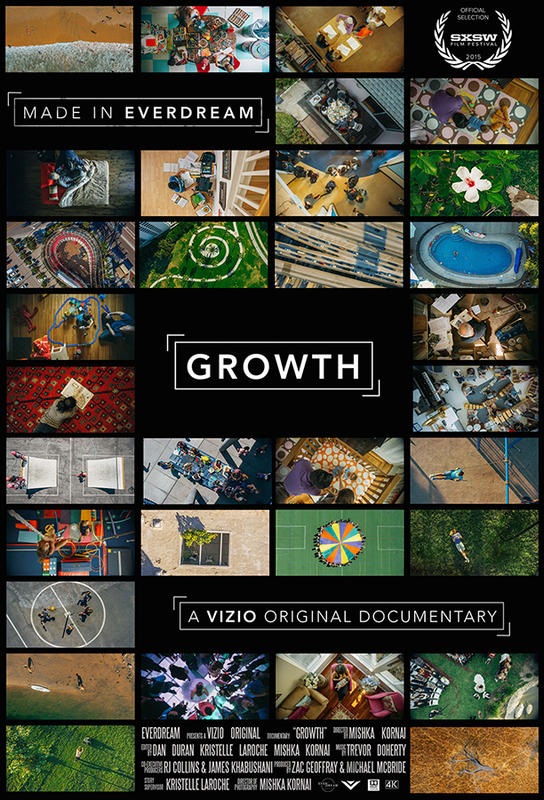 Captured entirely from above and featuring over 75 unique individuals, this short meditative documentary explores the complexity, subtlety, and beauty of growing up. In 2014, I was commissioned by television brand VIZIO to create a film that could showcase the visual storytelling possibilities of 4K. What began as a “branded content” opportunity quickly blossomed into one of the most artistically and personally fulfilling projects I’ve ever been a part of.